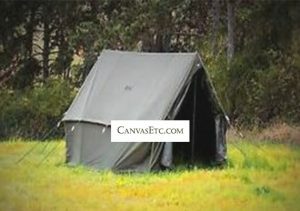 Mil Spec | Fabric that meets US DOD defense standards | Canvas ETC . Mil spec is a term defined by the United States defense standard. It is often referred to as military standard, “MIL-STD”, “MIL-SPEC”, or (informally) “MilSpecs.” These labels are essential in helping to achieve standardization objectives by the U.S. Department of Defense (the DOD). Standardization is both necessary and beneficial in ensuring products meet certain requirements. They also ensure a common level of quality (quality control), and performance predictability. A common and known reliability with expected total cost total cost of ownership is critical. Defined compatibility within logistics systems (the transportation and motility of products), and all similar defense-related objectives is essential in classification of products when utilized by the Department of Defense. These defense standards are so thorough, and often stringent, that they have been utilized and procured by many other non-defense government organizations, such as technical organizations and industry. The reason for this is compatibility, predictability of performance and he exactitude of known materials and processes in producing them. Military specifications “describe the physical and operational characteristics of a product,” while military standards “detail the processes and materials to be used to make the product.” Stringent and thoroughly defined Defense standards have greatly evolved from the need to ensure the maintenance, the proper performance, and the ease of product repair (ease of MRO). Additionally, the logistical usefulness of military equipment (the transport and fulfillment/ deployment) has also been addressed, defined, and quantified. 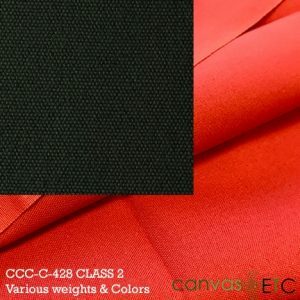 Our 10 ounce single fill cotton duck is woven from thin single yarns that are woven in pairs in the vertical warp direction and then thicker single yarns in the horizontal weft direction. 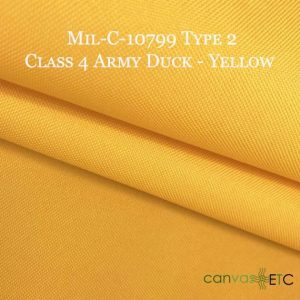 10 ounce cotton duck can easily be dyed in any color and finished to meet your specific needs. Single fill cotton duck is also commonly treated with an additive for use as a tarp, and which makes the material water repellent, mildew resistant and ideal for protection against the outside elements. They then become very functional and durable tarps. 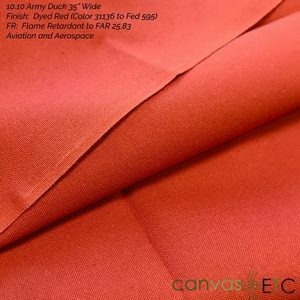 Our 10 ounce single fill cotton duck fabric (like all of our single fill ducks) is very versatile, and can be used in a wide variety of applications, such as: canvas totes, table cloths, window treatments, artist canvas, horse blankets, seat covers, tarps, uniforms, blankets and athletic padding. 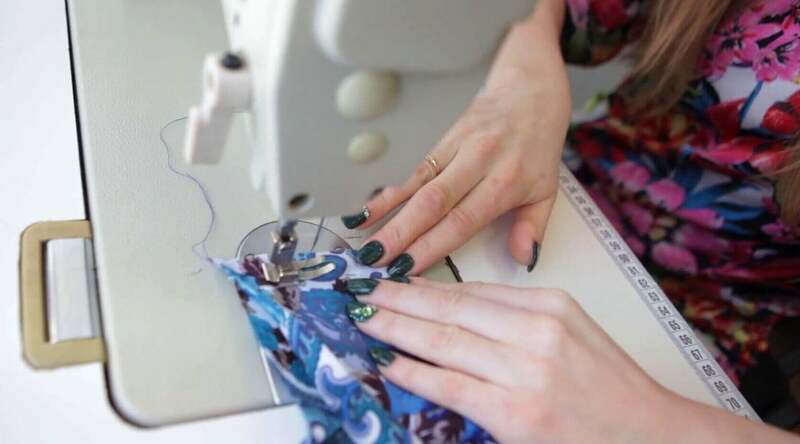 As a mil spec fabric supplier, we take great pride in offering a wide assortment of mil spec nylon fabric, mil spec ripstop fabric, and mil spec mesh fabric. 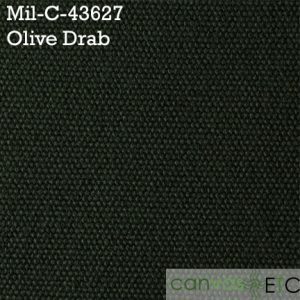 If you are a consumer or a commercial enterprise in need of mil spec fabric, please contact us for assistance in selecting and ordering. 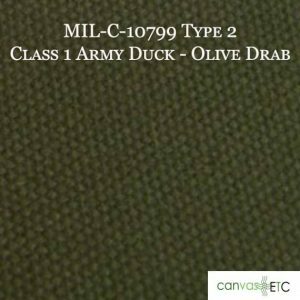 If we do not currently stock your specific mil spec fabric, please email our trained technicians at [email protected], and we will be glad to source and stock your specific material, such as military grade fabric and military camo fabric.